How to make money with WordPress, possessing certain skills? 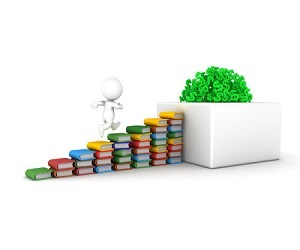 This article will provide you with ways of this type of online business. 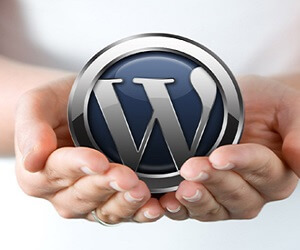 WordPress content management system is so easy to use that almost any person can master it. Its popularity grows at a fantastic speed. WordPress is such an available tool that more and more users want to apply it for improving their websites and making them more attractive. Designers and developers were fast at noticing this fact and began to create amazing themes and sell them. And now let’s figure out how to make money with WordPress and what ways exist for it. Sell templates and get money for them. Selling WordPress templates is, probably, a method frequently contemplated by those who assess the commercial use of WordPress. There are plenty of various companies and websites for selling templates that bring a good profit. The market of commercial templates grows rapidly, so if you are a skilled designer and developer, and you want to start generating additional income, then selling templates can be a good start. For this reason you must first learn how to make templates for WordPress websites, i. e., for instance, download relevant software. This software won’t require advanced programming skills from you. It operates as any graphic editor, for example, Photoshop. This field is promising from the commercial point of view, and it will be perfect if you like programming. The first way might not be your cup of tea if you lack designing skills, but being a good programmer will help you to create your own plugin or write a script for fulfilling some task. If you manage to find a solution to a problem and implement it by installing your pulgin, expect many people to be interested in buying such a product. It’s a very good way for making money with your plugin. If you want to make money in such a way, then make sure that they fix concrete problems. Don’t create multifunctional “combines” – better create several plugins targeted at concrete solutions. Thus, users will be able to choose only essentials without overloading their blogs with extra functions. You can also produce free plugins with limited functions and offer PRO version at an additional cost. It can include enhanced functions unavailable in a free version. You can advertise your plugins on different platforms (for instance on wordpress.org), but your blog will be your platform number one. You can use it not only for advertising your plugins, but also for providing detailed instructions on their settings. 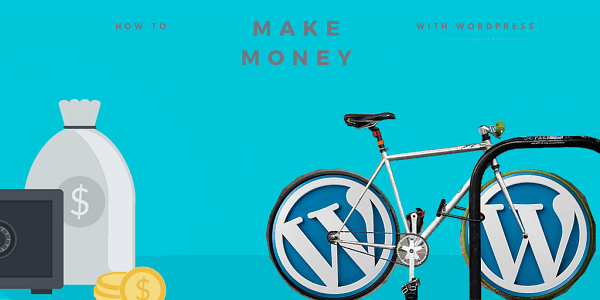 Making money with WordPress by means of design. If you are a web-designer, then WordPress is a perfect platform which you can offer your clients as CMS; it’s one of the most comprehensible systems for web-maintenance which they can use for adding their content any time they need. The assortment of available free plugins will provide functional service necessary for most business websites. Consulting companies on optimal ways of using WordPress can be rather profitable as more and more companies consider switching to open-code software. Besides, WordPress is a very convenient and responsive engine. For example, old plugins can work on new WordPress versions as well. Write content for your website. Creating a blog under a certain topic and its further monetization by means of advertising, partner programs, and so on can be the way most people use to make money with WordPress. It can be quite difficult to create and develop a successful blog as it requires much patience and effort, but the reward is worth it. For instance, someone has created a blog with a certain topic and he needs a regular copywriting service (i. e. an employee writing texts). So, you might be the one. When done regularly, this job can bring you a good additional income, and it’s better to work with one copywriter than constantly seek new professionals on copywriting marketplaces when having a new assignment. Read also: How to Make Money Writing Articles? 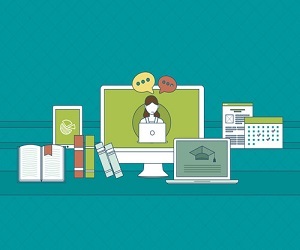 Take a training course to learn how to make money with WordPress. 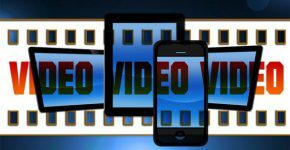 You can offer online training for companies and individuals or you can offer video lessons and guidelines. Some web developers also provide regular paid technical service. There are plenty subscription plugins for WordPress, so it won’t be that hard to launch a site with subscription. Lately, adding subscription section to existing sites became a wide-spread tendency. Make sure you create valuable offers and you will get subscribers monthly providing you with a growing income. Among things you can offer by subscription can be: any specialized training, tools and software, for instance, websites on design offering icons and Photoshop brushes. Specific tools, for example, SEO tools, can also be sold on terms of a monthly subscription. 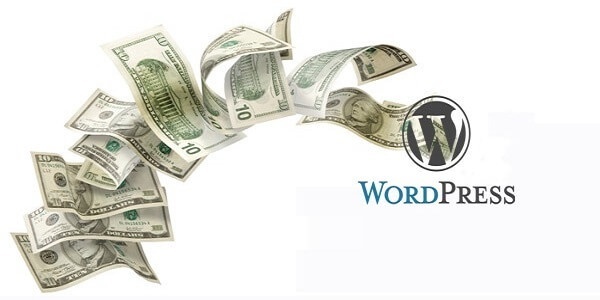 As you see there are a lot of ways for making money with WordPress. It is well-known that all information in World Wide Web is stored on bigger or smaller websites. Thus, a person, typing a search request, finds necessary information on one of multiple websites. Some years ago Internet underwent a transformation: from an information storage and communication hub it turned into the territory for making money. 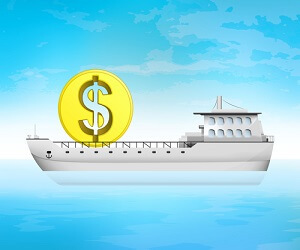 However, key opportunities for making money in this virtual space belong to website owners. Website is a content management system (managing sections, units, formatting…). There are several systems of this kind, but WordPress is considered the most popular among them. More than half Internet resources are created on this platform. 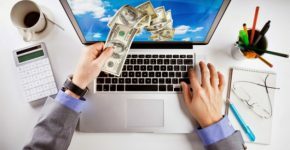 A regular blog will be good for making money online as it has a number of advantages. Blogs are easy to use. That’s why blogs are preferred to websites, portals, or any other large-scale web-projects. You can keep a blog by yourself, while a more complex portal requires a team and additional costs. That’s why it is often recommended to create a blog instead of a portal: it can bring a better profit. Your CMS is WordPress (engine for blogs). This engine is very easy to use, and anyone can master it. WordPress templates are diverse and available for free downloading. A blog on this platform (engine) has enhanced capabilities, but if its author needs to somehow vary it, i. e. add functions, WordPress plugins can do it. WordPress system is totally free (distributed under a free license), thus, anyone can create his blog (website) on this platform. A large number of various WordPress templates arranged by topics, styles, and colour schemes, plus enhanced capabilities of customized settings available for any blog owner made this platform number one in the whole world. I’ve listed only several advantages of this platform. If you wish to create your own website, keep this engine among your priorities. Besides, WordPress plugins can enhance functional capacity of the created site. Interesting: How to Make Money Selling Photos? And to finish with, I would like to remind all WordPress fans simple rules lest they deeply regret of the missed information. Rule number one: provide timely and regular updates. Don’t use free or absolutely cheap all-inclusive hosting. Don’t use free templates without antivirus screening. Don’t download plugins from first available sources; use only official websites. Try not to experiment on an active site – it can simply disappear. Use a test version for that purpose. Create backups of your site – it might spare you the necessity to pull out your hair. Thus, WordPress is a rather simple, but functional platform providing you with a number of possibilities for multiplying your income or starting your own business. Possessing certain skills, knowledge, and industriousness you’ll know how to make money with WordPress. It might not be the easiest job, but it is very promising for further development and the increase of your income. 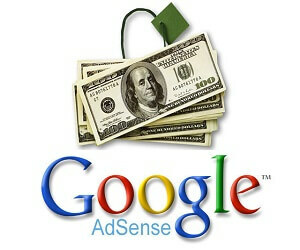 How Much Money Can You Make with AdSense? How to Make Money Reading Books?